One of the standard features on the new PrismJET VJ54 eco-solvent printer is the dual motor media take-up system. 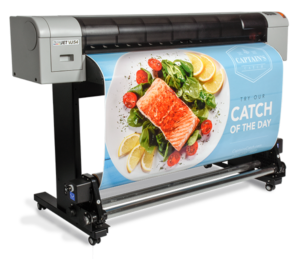 A lot of large format printers are sold without a media take-up system. Indeed, it was optional on the PrismJET VJ48. The addition of the new dual-motor media take-up on the PrismJET VJ54 is one of the many enhancements we’ve made to our best-selling large format printer. 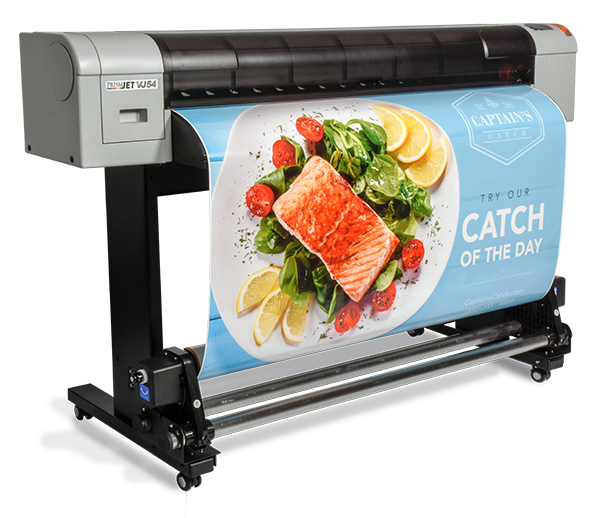 Why do you need a motorized media take-up system with your large format printer? The short answer is abrasion. The longer answer: For short jobs like T-shirt transfers or one-off sign blanks, the take-up system isn’t necessary. But for large graphics or long print runs of multiple images, a media take-up system is essential. It keeps your prints off the floor, which means they stay clean and pristine. Even if your shop floor is regularly swept, letting the vinyl or banner media drag on the shop floor can generate static charges that attract dust, carpet fibers and other particles. Needles to say, these have no place on your freshly printed signs and banners. Stray dust and dirt particles can scratch your prints or get trapped under overlaminate film, resulting in time and money-wasting reprints. Download instructions for installing and using the PrismJet VJ54’s Dual-Motor Take-Up system.